As followers of Jesus we know that it’s a joy to be a disciple of Jesus; however, this doesn’t mean that everything will go well with us in this life. To follow Jesus is spoken of in Scripture as a race you enter in. At times you may feel very good in how you run and progress in your walk; but at times it turns out to be very difficult and the temptation to quit or give up will always be there. Perhaps you know people who stopped running their race; they stopped following Jesus because it got too difficult. Where do you find the motivation, to continue running your race for God? 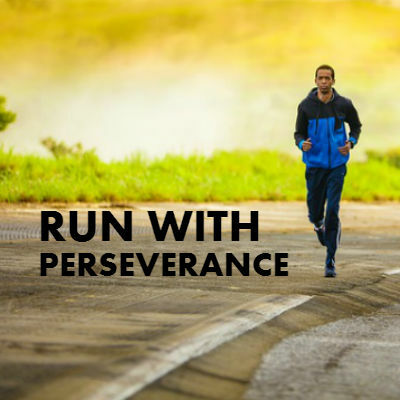 When do you get encouragement and strength to run? The author of Hebrews wrote to Christians who were going through lots of trials and persecution; their being Christians cost them their very lives. He encouraged them to keep themselves focused on running their race. He exhorted them to persevere.